Tony Mad Trio – Capital Blues Inc. The Capital Blues Inc. is very pleased to present The Tony Mad Trio in celebration for what would have been Stevie Ray Vaughan’s 64th Birthday at Hotel Bristol this Thursday 4 October. 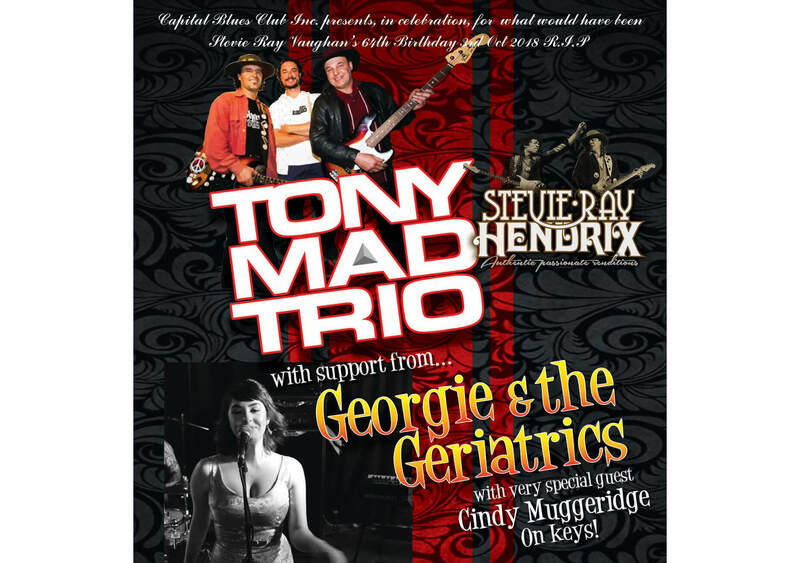 With support from Georgie & the Geriatrics plus very special guest Cindy Muggeridge on keys! Expect some stunning guitar work, classic blues songs – Stevie’s own, lots of boogie, and of course some Hendrix for good measure!